Learn How to Make Buffalo Sauce to make your buffalo wings even tastier! This Homemade Buffalo Sauce Recipe is super easy and quick to make. It’s hot and tasty, and it’s going to take your buffalo wings to the next level. You can also use this delicious buffalo wing sauce on other recipes, or use it as a dip for your favorite appetizers! Learn how to make buffalo sauce and you’ll never have to use a store-bought sauce again. 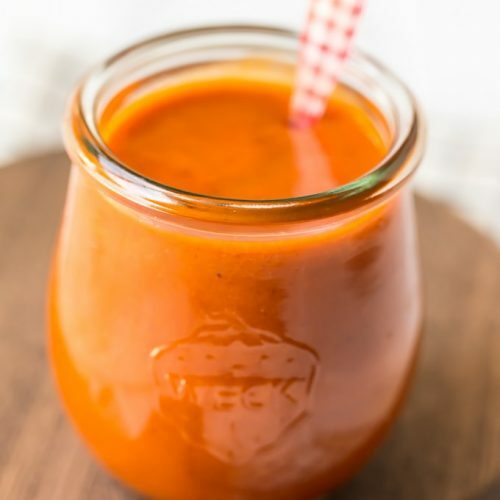 This homemade buffalo sauce is hot, tasty, and easy to make! Homemade Buffalo Sauce is the best way to make buffalo wings at home. Why buy a pre-made buffalo wing sauce at the store when you could just learn how to make buffalo sauce instead? This homemade buffalo sauce recipe is really easy to make. It only takes about 15 minutes from start to finish so you can make it just before you cook your buffalo wings. You could also prepare this buffalo wing sauce ahead of time so that it’s ready to go when you start cooking. Buffalo Wings are the best game day appetizer and there’s no need to order them from a restaurant. Prepare your own buffalo wings at home AND make your very own homemade buffalo sauce to go along with them. It’s SO tasty and it’s going to make your wings irresistible. Learn how to make buffalo sauce and take your buffalo wings to the next level! This homemade buffalo sauce is hot, tasty, and easy to make. This Homemade Buffalo Sauce Recipe is very easy to make, and it won’t take you long either. I just love the flavor of this hot buffalo wing sauce, so I’m excited to share it with you. If you don’t know how to make buffalo sauce at home, you’ll be surprised by how simple it is! See what I mean? EASY! If only I knew how to make buffalo sauce sooner, I would have been eating wings every weekend. 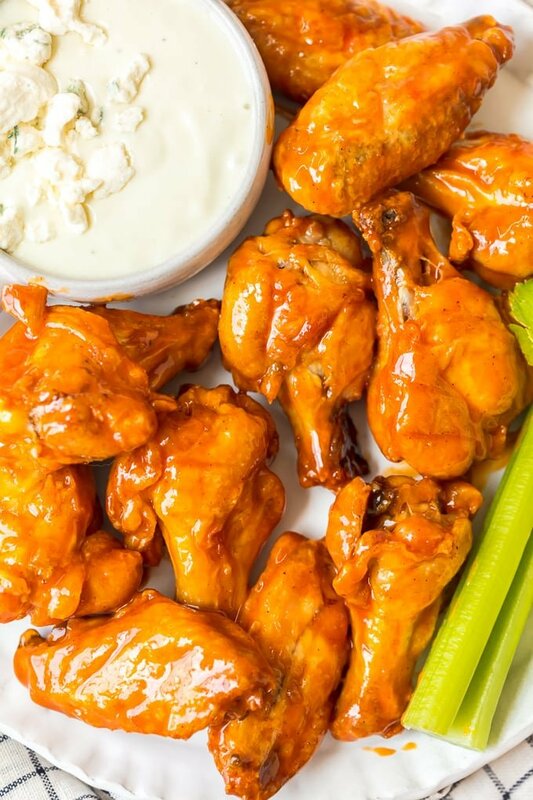 Now you can serve you very own homemade buffalo sauce on game day (and don’t forget the ranch for your wings)! I can’t get over how good this simple buffalo wing sauce is. It’s the perfect buffalo sauce recipe to use on all of your buffalo wings, whether your wings are baked or fried. Believe it or not, buffalo wings aren’t the only thing you can use this homemade buffalo sauce on. Sure, that’s what it’s made for, but this sauce is so yummy that it deserves to be put on all kinds of things. You can mix it into this buffalo chicken pasta salad, use it on these buffalo chicken meatballs, use it as a dip for other appetizers (like avocado egg rolls or chicken tenders), or spread it onto this chicken burger for some added flavor. The possibilities are endless. 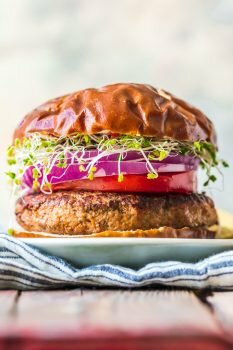 What are the buffalo sauce ingredients? Buffalo Sauce is a simple recipe and it only contains a few ingredients. While people may switch things up and get creative, typically all buffalo wing sauce will consist of the following. I’m also adding in dark brown sugar for a hint of sweetness, and you can add in Tabasco sauce for a bit more heat if you prefer. Why do they call it buffalo sauce? Buffalo Wings are (usually) deep-fried chicken wings. They were invented in Buffalo, New York, which is where the name comes from (no, they are not made from buffalo). 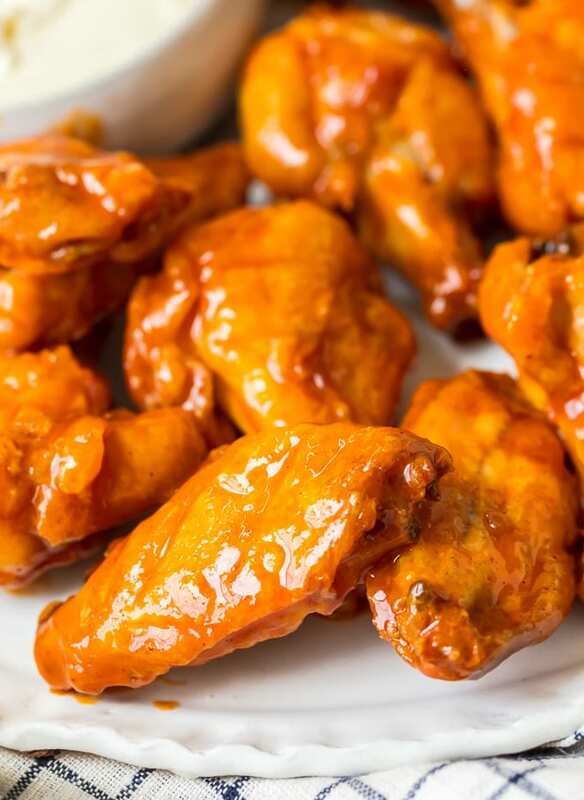 The sauce that was originally served with these buffalo wings (hot sauce, butter, vinegar) became known as buffalo sauce. Are Buffalo Sauce and Hot Sauce the same thing? Not exactly. Hot Sauce is a vinegar base and hot pepper mix. It’s pretty pure, which is why it’s so spicy. Buffalo Sauce mixes hot sauce with butter (and sometimes other ingredients). So while there is hot sauce in buffalo sauce, the latter isn’t as pure. Some buffalo wing sauce will still be very hot, but you can dilute your sauce to make it more mild or sweet. How long does homemade buffalo sauce keep in the fridge? This homemade buffalo sauce recipe should be stored in an airtight container in the refrigerator. So if you aren’t making your buffalo wings right away, or if you just have extra buffalo wing sauce, you can keep it for up to 1 week. 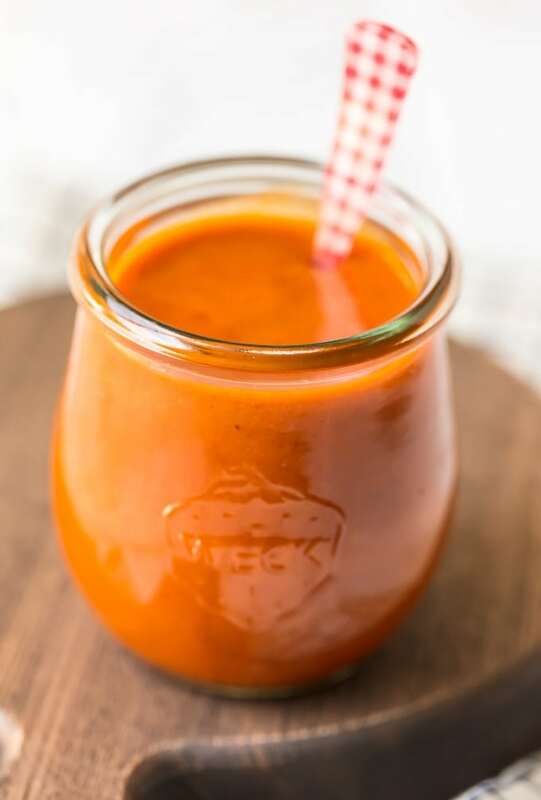 Now that you know how to make buffalo sauce, you can start making this Homemade Buffalo Sauce Recipe for all of your buffalo wings and buffalo chicken inspired recipes. You’re going to love the simple and hot flavor of this buffalo wing sauce! See recipe card below for details on how to make buffalo sauce at home. Enjoy! Learn How to Make Buffalo Sauce to make your buffalo wings even tastier! 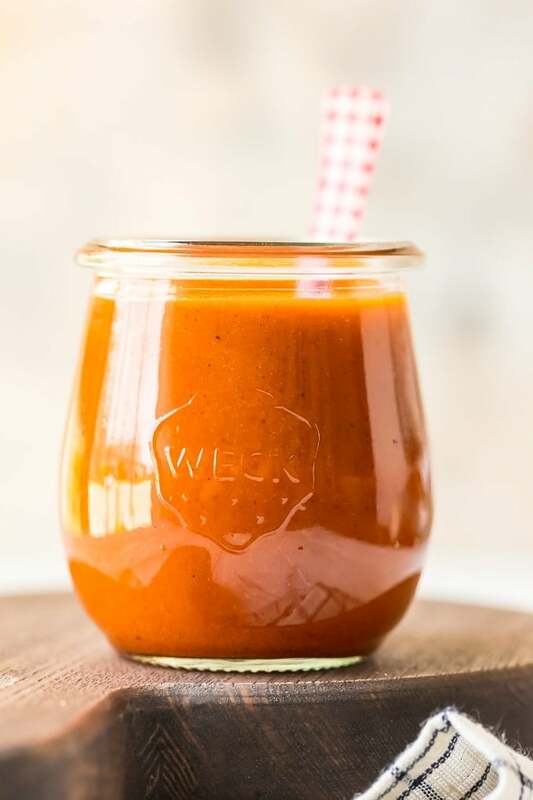 This Homemade Buffalo Sauce Recipe is super easy and quick to make. It's hot and tasty, and it's going to take your buffalo wings to the next level. You can also use this delicious buffalo wing sauce on other recipes, or use it as a dip for your favorite appetizers! In a small saucepan, melt butter over low heat. Add remaining ingredients and whisk until combined. Remove from heat and set aside until ready to use. If not using immediately, keep refrigerate, in an airtight container, up to 1 week. 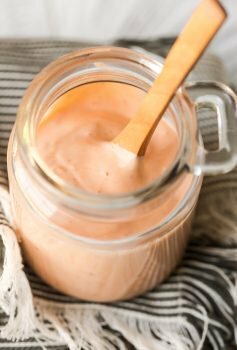 How do you make mild Buffalo Sauce?